I have met a lot of people, who have interesting ideas, great stories, wonderful anecdotes to share and are interested in blogging, but once they do start blogging they get overwhelmed with all the ‘to-do’ list and falter on the way. The writing and blogging lags behind while other things take over, or many a times they just end up being overwhelmed and leave the whole dream of being a blogger. Today I am creating a list of plugins that I found helpful and useful during my blogging journey. These are the plugins that I recommend to every new blogger. It will make your blogging journey simple and manageable. This is a mix of plugins that will manage a bit of backend, help push your blog and get visibility, a few that will help promote your posts and a few that will help you get organized and plan your way forward. For all the non-technical people, this one plugin will make your life easier in terms of SEO and keywords. If you do not know HTML and CSS, the whole SEO checklist, will become mind-boggling. You might feel like you are drowning in it. Yoast SEO is a simple form like layout, which takes care of most of the SEO requirements for a small business or a brand. In the free version you can add one keyword, edit the slug and meta description of your post and check if your post is seo’ed and reader friendly! The second most helpful plugin that I would recommend is Akismet Anti Spam Plugin. Have you been inundated with spam comments or comments that aren’t being slotted as spam by WordPress or blogger but one look at them and you know they are spam or advertorial links? For situations like these Akismet works wonders. It effectively blocks all such spammy comments thereby reliving you and your blog of crappy, irrelevant comments. It also learns as you mark posts that you have received as spam and continues to block similar comments. This plugin helps you be more productive and effective at your blog. 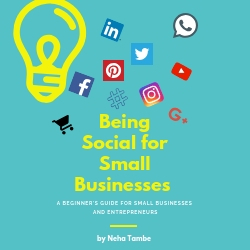 Once you have written a wonderful post, the next step is to share the posts with your followers, on various social media platforms. While WordPress has an inbuilt option to share your posts the moment you publish them, but what happens when your readers wish to share it with their readers? Shareaholic, offers that easy one click sharing option. There are a lot of sharing plugin’s available in the market and you should have any one of it on your blog. What I like about shareaholic is the fact that they offer analytics and a simple way to view our content shares. This helps understand which content is popular overtime and how it can work well. They also have monetization option which will help you serve ads to your readers that are curated by Shareaholic. There are a lot of Image Optimizer’s out there, and you should use any one to help reduce the load time of your site. I have been hearing and seeing problems with image optimizers after the GDPR enforcement. I am not really sure, how that is linked but a few image optimizers are now not available for download. This is the reason I haven’t recommended a particular image optimizer, however when you checkout the plugin section and search for image optimizer, you will find a lot of options. Choose the one that is available for download and is compatible with your theme. Everyone needs forms on their website. While a few are linked to mailing accounts or landing pages, a few are just contact forms. I use Ninja Forms and have found them extremely useful. The whole set-up for creating the forms is simple and easy to use. The easy integration makes life easy. After updating the form, I have even changed my blog themes with no worries about redesigning the form. Every feedback, via the form also comes as an email to me and hence I am immediately pinged about any form filling activity. Such forms are especially useful if you want brands or clients to connect with you via forms. This is one of the coolest and fun plugin that has made my life really easy! Many a times, especially when I am writing about travel, I want to add a lot of photos, however adding too many not only makes the post heavy, it needs good layout for eye pleasing look. This simple embed takes away that problem for me. It easily helps me integrate my blog posts with instagram photos. After this plugin is added, all I need to do is copy paste the insta link, just like I would do for a YouTube video! It also has the data of post likes and comments. The look and feel is maintained as it would be in an instagram post and hence that gives my post a nice clean look with an added advantage of making my followers aware about my instagram feed. Another plugin that will help in speeding up your site is Comet Cache! Basically if a site is being cached that will help speed up your site for visitors! 1 in 4 person confirmed that a slow loading site was a turn off for them. That is a lot of traffic loss, if we really drill down to the details. Having a cache plugin, helps in loading the site faster, keeps the audience engaged thereby better traffic. These plugin’s will help you as a blogger to improve the traffic, reach more audience and also improve the user experience. Do you like similar plugin’s or do you have a different list? Let me know what are your favorite plugin’s in the comments below? 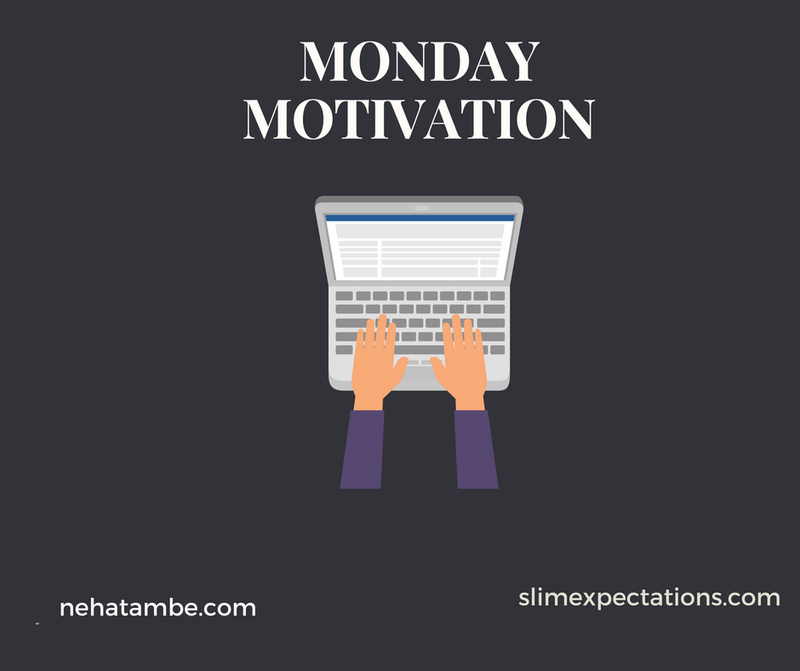 Monday Motivation is a link-up to write and read more. As bloggers we write, but forget or don’t know who to read and share. Here we are bringing together like minded bloggers who want to be consistent by writing and reading. Link a post based on the prompt or any of your recent posts and join the fun! That’s a very useful list of plugins Neha. I have few installed already. Will look into the others soon. Blogging os such a vast filed and SEO is always on tops of the list of every blogger. Great list Neha. I see that Yoast SEO is very useful for wordpress blogs. Mine is a blogger managed site. I have to explore on image optimizer plugins. Thanks for the informative post. Very helpful and informative post, after having a custom domain i am trying different plug ins, will try some of these which i have not tried. This is a good reference point for all the important plugins Neha. Thanks for making it easy for all. I use Yoast SEO, Shareholic and Akismet Anti Spam, but havent checked out Image Optimizer, Ninja Forms, Simple Instagram Embed and Comet Cache. Image Optimizer and Simple Insta Feed is something that I will start using right away. Thanks for sharing these useful plugins. They certainly make blogging simple and organised! This is such an informative post and very helpful for the bloggers. I will be pinning this. I will add comment cache to my blog. I once added Instagram plugin but deleted later. But will do it again. I never heard about ninja forms. This looks pleasing. I have a lot of work to do after seeing this. Most are essential and i dont have them. Much needed list for all newbie bloggers. My favorites in this list are Toast SEO & Sharaholic. Will check the last also. I absolutely had no idea about, the comet plugin. Will install asap. Also, I often wondered how to get the insta post on the blog. Thanks for the helpful post. These are some lovely tips on the plugin to be used in the blog. Though I am using some of them already in my blog but will try to rest others as well. I had few of these plugins already installed but wasn’t aware of few that you have mentioned here. It’s really amazing how these plugins can make our life simpler and smarter in this blogging world. I have Yoast SEO and shareoholic plugins. I will certainly explore the others that you have mentioned. Great tips on plugins. I do use a few of them. Will check out the rest now. Quite a helpful post especially for the new bloggers. It is a very informative post. Downloading the plugins right away! The only plugin i don’t have is image optimiser seo yoast and shareholic is the best and has helped a lot in my blogs visibility. I use some like Yoast and Image optimizer, will surely try other ones. Such a helpful post for new bloggers like me.. Thank u.. Bookmarking your post now.. I use most of these. However I had no idea about an image optimiser. Will look into it. i’m new to blogging it’s all are new to me thanks for the information it’s very helpful.